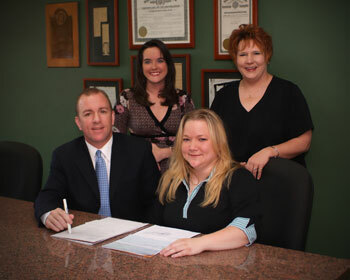 One of the more visible services we provide as a title company is the closing of real estate transactions. From memorial parks, to single-family residences, to multi-million dollar commercial properties, we have closed on a multitude of property types. Our closing staff is entrusted with being the necessary third party to act as a depository for the purchaser’s funds, insuring payment of seller proceeds and all related closing expenses, and proper drafting, execution and recording of the deed from seller to buyer. The closing office is responsible for drafting all necessary closing documents, including the most commonly used form of closing statement, the HUD-1 Settlement Statement. Behind the scenes, your closer is ordering loan payoffs, obtaining evidence of insurance and satisfying title requirements as directed by the examining attorney. They are also accounting for pertinent closing fees from the seller, buyer, listing and selling real estate professional, surveyor, attorney, and lender. Thus, In a nutshell, the closing is that magic moment in time where everything (and everyone) comes together. To pull this off is no easy feat. if you have ever been involved in a smooth, professionally conducted closing, you can be sure an experienced closer was involved. Security Title Service, proudly located in downtown Ponca City, represents our company’s closing division. Winner of Ponca City Main Street Authority’s 1998 Best Interior Project, the building’s complete renovation was especially designed as a closing office, with much thought given to efficiency, aesthetics and client comfort.